Sorry it's been so long since I've posted anything. I've been incredibly busy with all kinds of different things and getting a chance to post something on the World of Wonder has been almost impossible. I do promise that it is worth the wait. 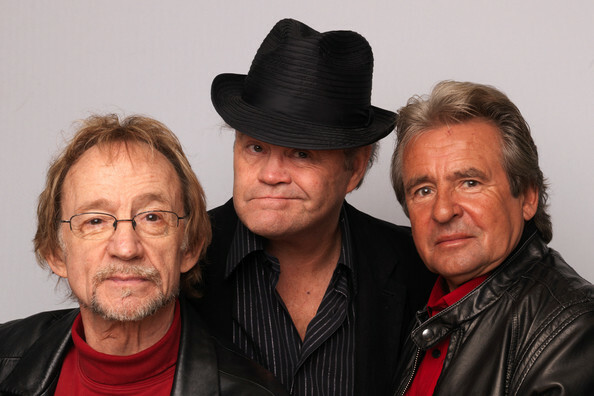 As you noticed in my last post, The Monkees (or the Three-kees as they have become known) are reuniting this summer for their 45th anniversary with a tour of England and possible the states! To celebrate, I dug into my bag of Monkees goodies and have brought forth this most impressive radio broadcast of a show they did back in 1989 in Holland. 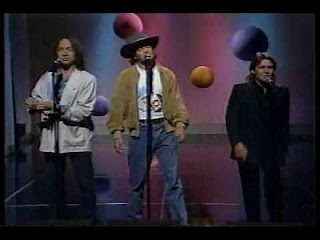 Here is The Monkees Live In The Netherlands, April 21, 1989. The sound quality is fantastic and it features a very special intimate acoustic set with just the three guys and no backing band in the middle of it all. Here is that show! Enjoy! The Best of The World of Wonder: Harpo Speaks! Here's a real treat! It's actually Harpo Marx speaking! Even though he took a vow of silence in regard to stage and screen, Harpo was known by friends and family as a very talkative fellow. Here is a 30 second recording of Harpo telling a story about his early days playing the piano in a brothel! Supposedly this recording was made by Harpo in preparation for the writing of his autobiography "Harpo Speaks" (my favorite book of all time and a must read for everyone!) Enjoy! This animated series had great intent but poor execution. If it was better animated it could have been amazing! Anyway, I picked this episode solely for the music playing in the truck that the ape is driving in it. The music playing on the radio is "I'm Going Humanoid Over You". Hilarious! Enjoy! 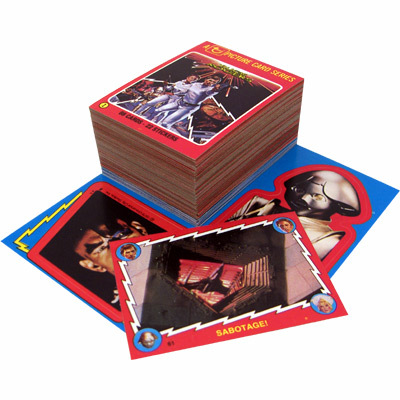 Here are the final three packs of the Buck Rogers cards. In my infinite wisdom, I (as usual) miscalculated cards per pack in accordance to cards per set. The set consists of 88 cards and 22 stickers (not 33 stickers as I had originally thought). I wanted to kind of keep it as if you were getting the original packs so I put 10 cards in every pack. You can do the math and see that I would be short somewhere. As a result, these last three packs contain the usual 10 cards but two stickers in each pack with the exception of the last pack. This contains no stickers, 8 cards and a super special bonus only available here: 2 bonus foil cards created exclusively for this set of cards! Not a bad boobie prize! Enjoy and keep on the lookout for more card sets! OK, I figured you could use a boost in your collecting of Buck Rogers cards so here are the next three packs! That's right. The boring one pack every other day or so has been replaced with a mighty three pack in one day post! After these packs, there are only twenty eight cards left to collect which means only three more packs. They'll be up sometime within the next week. Keep a lookout for those and for future trading cards! In the meantime, here are the next three packs of Buck Rogers Trading Card. Enjoy! I still haven't purchased the complete Six Million Dollar Man box set yet. I know sooner or later they'll eventually sell the seasons individually for a much cheaper price at Target and I'll start getting them then. They did the same thing with Get Smart. When they first released it, you could only get the complete series and the price was astronomical. Now you can get two season packs at Target for $20.00. However, if anyone is feeling very generous and would like to buy me the box set of The Six Million Dollar Man, feel free. I won't turn it away. Anyway, one of my favorite memories as a child was the day my mom took me to the local drug store in downtown Clinton, CT. It was an awesome, old fashioned drug store complete with a counter where you could sit and have a cup of coffee or enjoy a fountain drink. They had the coolest magazine and comic book rack. My mom bought me an issue of The Six Million Dollar Man comic book that became my favorite comic book of all time. While that issue was lost some time ago, I share with you, today, the first issue of that great comic series. 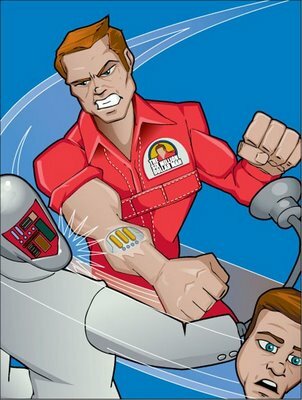 Here is issue 1 of The Six Million Dollar Man. Enjoy! 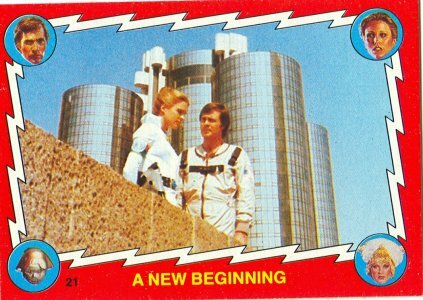 Here is the third pack of Buck Rogers trading cards from the classic series. An interesting aspect of that show was its futuristic look at what the architecture of tomorrow would look like. They made extensive use of the then brand new Westin Bonaventure Hotel and Suites, located in downtown LA. Today it is such a familiar site in film and television that we don't think of it as futuristic at all. When Avenue Q played LA a few years back, some members of the company stayed there and compared the inside of the hotel to Cloud City. It's in almost every car commercial as the strip directly in front of it is used for almost every commercial made in LA these days. 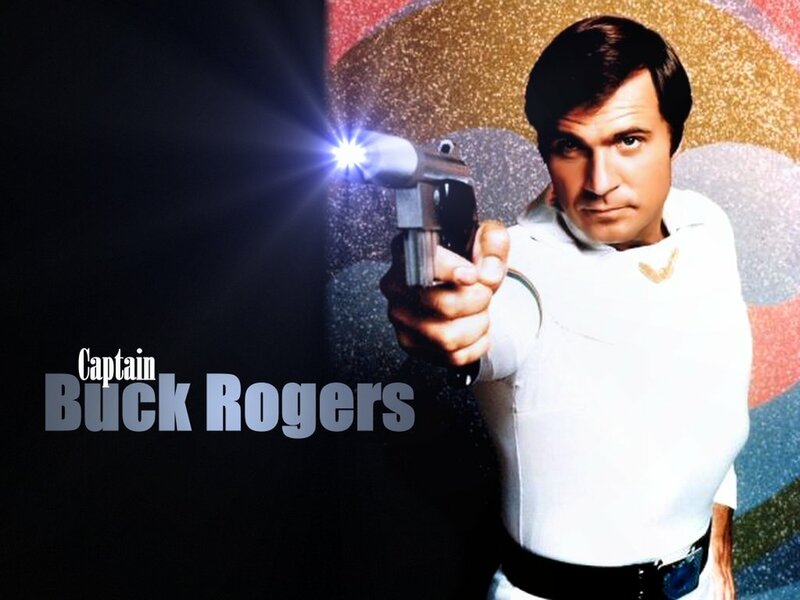 Still, it's fun to see it in Buck Rogers and to think that its look was what some people who had never seen it envisioned our future. Enjoy this pack of 10 cards and 3 stickers and keep watching for the rest!